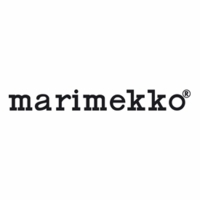 More about Marimekko Eena Unikko Beige / Blue Cosmetic Bag The Marimekko Eena Cosmetic Bag is petite yet practical, and Maija Isola’s Unikko pattern makes it anything but ordinary. 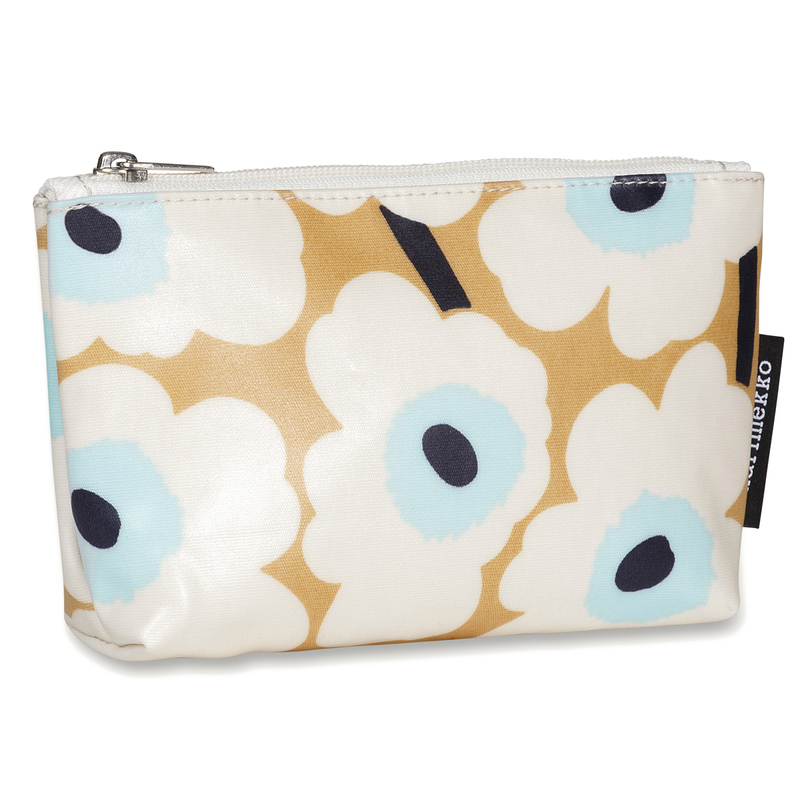 Store all of your favorites in this grip-sized pouch, and carry it with you to stay prepared throughout the day. 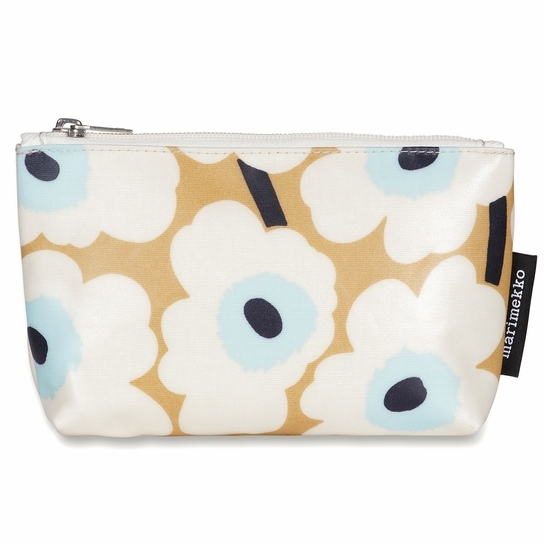 The PVC-coated cotton exterior and polyamide interior makes it easy to wipe clean in case of makeup spills. With the zip closure, you don’t have to worry about anything falling out and getting lost.